Cravings? Who would have thought!!! The more I learn about bananas, the more I am blown away! Anthony Williams, the Medical Medium, shares a lot about bananas. If you are like me you will also be impressed with bananas after reading this! “Bananas are also an excellent “brain food” great for heavy thinkers and are known to help build strong muscles as well as strengthen the nervous system. Bananas contain powerful anti-fungal and antibiotic compounds as well as protease inhibitors which can help stop viruses in their tracts. This makes them highly beneficial for chronic illnesses such as shingles, epstein barr, parkinson’s disease, multiple sclerosis, arthritis, chronic fatigue syndrome, and lupus. 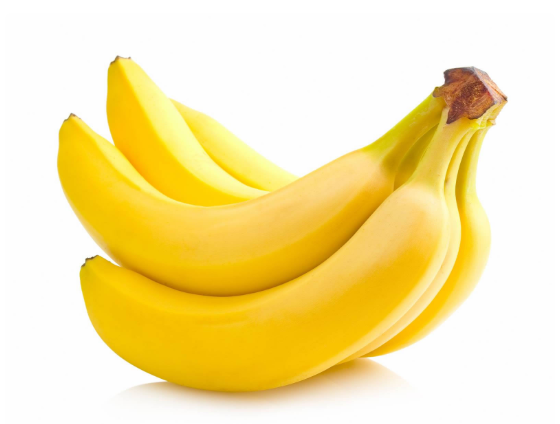 Bananas are also particularly good for lowering blood pressure, irritable bowel syndrome, neurological disorders, diarrhea, atherosclerosis, osteoporosis, coronary artery disease, chron’s disease, stroke, and kidney, colon, and lung cancers. Personally, I am an extremely heavy thinker so the part about it being good for heavy thinkers really caught my eye. One of the big things I have noticed both for myself and my clients, is that when we eat more bananas and other fruits of any kind, we no longer crave sweet things. This is due to the fact that our body and brain get the natural sugars that they need to function and that helps to alleviate cravings. Cravings come about for a reason! I do hope you incorporate more bananas into your daily diet. It’s especially beneficial for the children and the elderly as they are both easy to eat and easy to assimilate. Here is the link to the full banana article. Enjoy! Maggie Holbik.com is a Certified Holistic Nutritionist and Certified Life Coach who resides in Ontario, Canada. She is enjoying her own personal journey of incorporating more nutrient rich and life giving foods into her own daily routine and has seen remarkable success both in tremendously improved health and in natural weight loss as her body is balancing itself and regaining homeostasis.